The actor Heath Ledger was found dead this afternoon in an apartment in Manhattan inhabited by the actress Mary-Kate Olsen, according to the New York City police. Signs pointed to a suicide, police sources said. Mr. 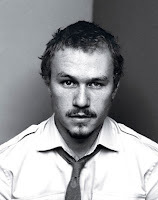 Ledger was 28.